Looking For A Used Ford Figo Engine? Looking for a Ford Figo stripping for spares? In case you are reading this article, chances are you seeking to substitute your Ford Figo engine. Possibly you have been in a major accident, the motor could have seized, the top gasket ruptured, or maybe much more causes. Much of our everyday activities rely seriously on our motor vehicles enabling us to easily get to a job as well as , go back home once again, this is why you must locate an motor promptly. Our company can certainly help any car owner in South Africa easily locate an engine for their Ford Figo. We will help you instantly make contact with the scrap yards and Ford engine importers within SA, no matter the model or make of your car. I am looking for a complete engine for a Ford Figo, 1.4 lit, petrol, 2013 model. Hi. i am looking for a complete engine for a 2011 Ford Figo 1.4. 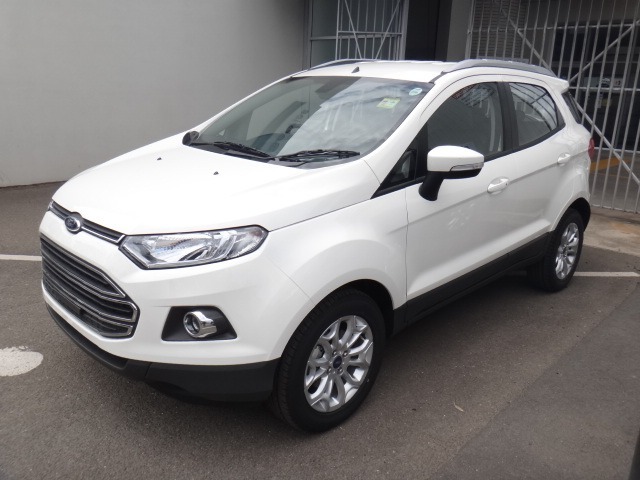 Our company has conducted most of the effort of locating the companies which sell Ford Figo engines for sale within Gauteng. Which means that 1 enquiry sent to us will go off to them all. Phoning each organization is cumbersome specially if you are in a crisis of without having transportation! This drastically heightens your chances of tracking down a used Ford Figo engine. All on your own, you’ll likely merely phone the junk yards which are local to you. Each of our suppliers are notified automatically and several may be up country, never worry they’re able to organise a courier service to supply your engine! You enquire direct with our sellers. The business sells you the engine, this means costs are not hiked up in no matter what. No handling charges, therefore the rate you’re cited will be the cost you’ll spend. Based on stock amount you’ll collect multiple quotes from our unique junk yards. By getting several price quotes, you can make sure you get the best offer so you can get the motor you require and get your car fixed. Engine Finder enables you in finding Ford Figo engines for sale across South Africa. Our phone employees are expecting to take your phone call from Mon to Friday anywhere between 8:00 am – 17h00. Or our website’s on-line enquiry form is accessible 24 / 7! Depending on supply availability you ought to be getting quotes from many scrap yards from around the region. Take into account we will not main assist you in finding Ford Figo engines, we uncover motors for every vehicle brands in South Africa. Save time and funds by using our great network of dealers to get the motor you require devoid of running all around the town yourself. I am looking for a complete 2nd hand engine for a Ford Figo 1.4 petrol. i'm looking for engine for FORD FIGO 1.4 DURATEC PETROL. I need an engine for a 2013 FOrd Figo, I am in Johannesburg, requests return call with quote. I am looking for a complete engine for a Ford Figo 1.4 Tdci. Im looking for a second hand engine for a ford figo 2010. Message:*Any second hand engine in good condition. Preferably low kilos. I am in need of a ford figo engine. I am based in Durban and in Johannesburg.